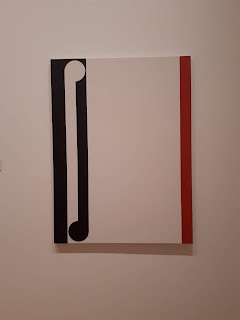 On Friday after attending our daughter’s graduation in Auckland we went to the Gordon Walters: New Vision exhibition at the Auckland Art Gallery Toi o Tāmaki. This has been put on as a partnership project between the Dunedin Public Art Gallery and Auckland Art Gallery Toi o Tāmaki with support from the Walters Estate. “Gordon Walters is one of New Zealand’s most influential modern artists. 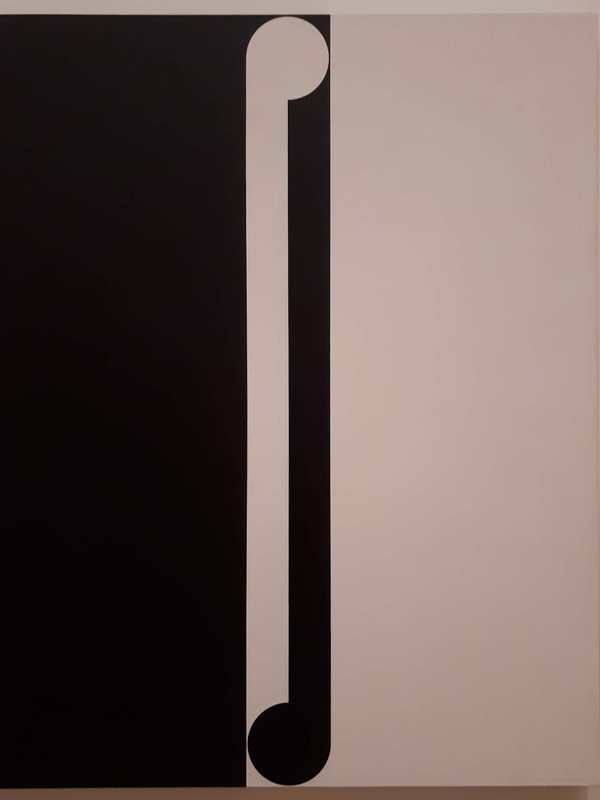 Across six decades he explored the potential of a few simple geometric elements with a singular focus, creating works of exactitude and refinement. The thing he is most famous for is the use of the koru pattern. It reappears in a number of his works and is probably the form he is most. I love how the two koru become one and yet somehow retain the original two shapes. As I looked at it it spoke of how people come together. For example, a married couple come together and become one, and yet they retain who they are. Their individuality contributes to how the whole is created. The other one that spoke to me was very similar - Untitled Koru, painted in 1995, I thinks shortly before his death. It is very similar to Maho yet seems to me to have an honesty about this. Two do not go together easily very often. There is struggle, at times conflict. We can see this in Aotearoa where the two peoples who originally signed the Treaty still struggle to work out what it means to be one people. If you listen to people like Don Brash and his Hobsons Choice group, to be one is to be all the same, that is all English speaking and immersed in Pakeha culture. But Untitled Koru for me speaks about each partner holding their integrity, and together making a new “one people which honours both cultures and ways of being in the world. This is a great exhibition. To read about what is involved in the composition of each work is astounding. To see the development of that work, and where it went was inspiring. Take the time. Bread of Life Part 2.